Crowdfunding is awesome. It’s what enabled Boston Tea Party-trained Josh Bowker to complete his transformation from barista to business owner, with his brand new “café and stores” Milk Teeth having opened on Portland Square in St Pauls on Monday, March 6th thanks to an injection of £10k from his online campaign. St Pauls is an area of Bristol that has a somewhat chequered history and a not-so-positive reputation, but that’s all changing: there’s plenty of development work going on to add flats and a boutique hotel, and Bowker’s new opening is already attracting a crowd too. From workers on laptops to mums with kids, it had attracted a diverse crowd when I visited on its third day of trading – and while Milk Teeth’s still a work in progress, there’s plenty to recommend in its current guise. The smartly painted black exterior leads through to a warm and welcoming café with an eclectic vibe. 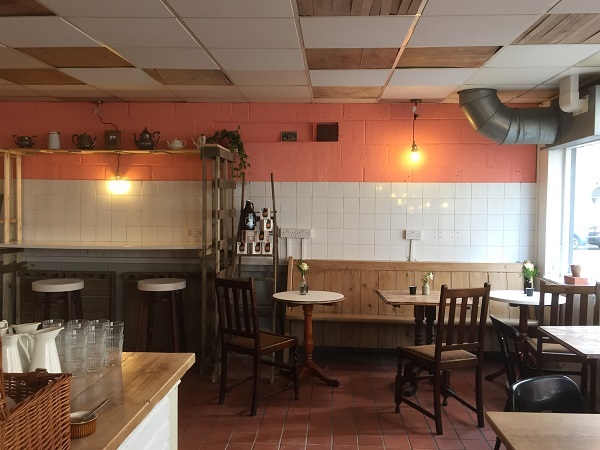 Second hand furniture and plenty of upcycled bits and pieces give it a homely, friendly feel, with a choice of low-slung sofas, high stools and regular tables at which to sit. 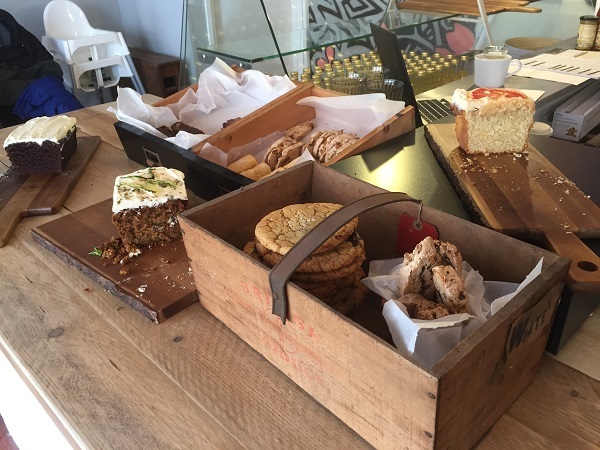 Walk in, and you’re greeted by a long wooden counter laden with cakes and the coffee machine, with Josh’s face smiling warmly at every single person through the door. 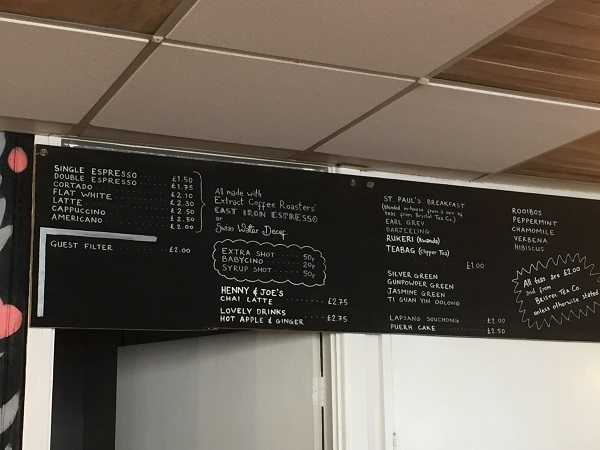 At the time of writing, the offering was fairly limited: coffees from Extract, chai latte from Henny & Joe’s in Bath, soft drinks from Barrow Gurney’s Lovely Drinks and tea from Bristol Tea Co., along with a small selection of tempting-looking baked goods from Leanne at Bristol’s own Pearly King Cake. “The aim is to be able to sell everything to take home that I’m serving in the café”, he told me. 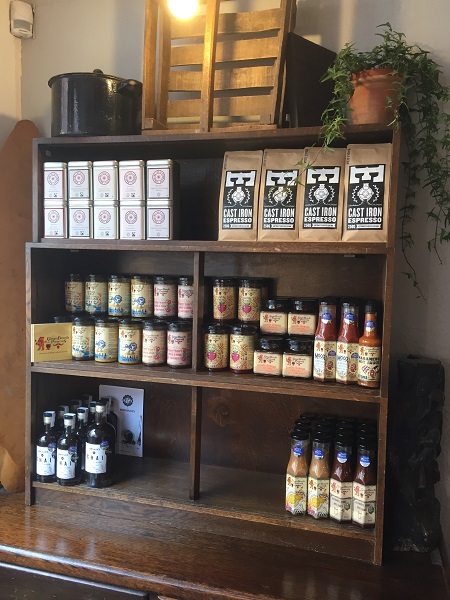 There’s already a small shop section near the door, with a range of Gingerbeard’s Preserves and Extract Coffee, plus products from Bristol Tea Co. and Henny & Joe’s. 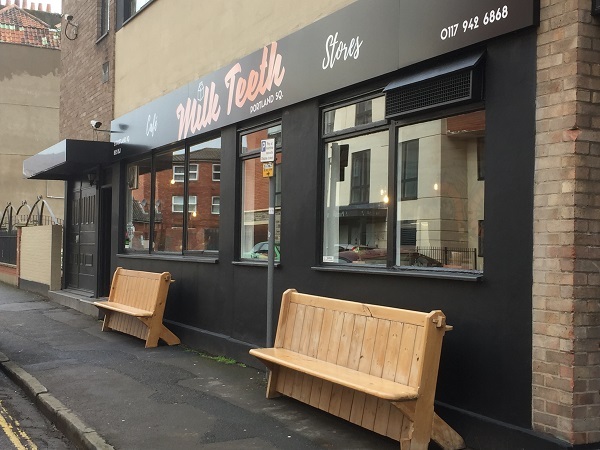 Down the line, he sees it as somewhere locals can come to buy the basics – bread, milk and more – which I’m sure will turn Milk Teeth into a lovely community hub. I ordered a skinny decaf latte to go (£2.50) and was impressed: nothing pretentious here, just good, well-made coffee. It was a good size for the money, silky smooth and a decent strength – being a decaf drinker means that I’m quite often subjected to some pretty poor coffee that’s essentially just hot milk, but this was entirely different. While Milk Teeth had only been open a few days at the time of writing, it was good to see it already busy, and with a mixed crowd too. 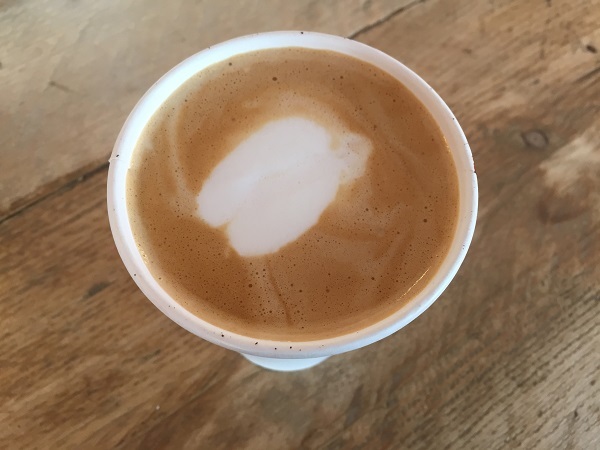 I loved hearing about Josh’s plans for down the line, and will definitely be back – it’s a place that has a lovely vibe, and one that offers a pretty good cup of coffee to boot. Open from 07:00-14:30 Mon-Fri and 10:00-16:00 on Sat, I definitely recommend a visit.